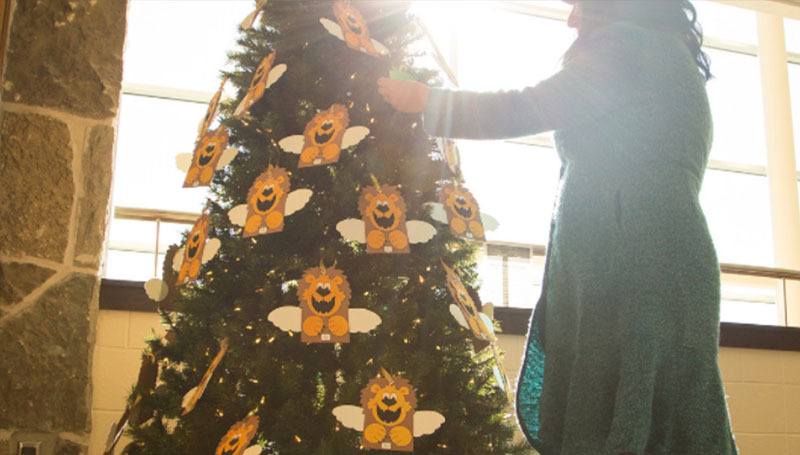 The annual Angel Tree program – presented by the MSSU Community Service Committee and Staff Senate – has once again been a success, helping to bring a happy holiday to nearly 100 children of Pell-eligible students. But we can still use your help! A come-and-go gift-wrapping event will be held starting at 10 a.m. Monday, Dec. 4, in BSC’s Connor Ballroom. It will run until the last gift is wrapped. This is a great opportunity to earn community service hours. There will be plenty of wrapping paper available, but please bring your own supplies like scissors and tape. If you have extra boxes, bags, ribbons or bows, please bring them with you to gift wrapping day. If you haven’t already done so, be sure to drop off your unwrapped gifts by Friday, Dec. 1, to Hearnes Hall Room 109. There is also a box in front of the Angel Tree for those who would like to donate items such as school supplies, hats, gloves, etc. If you have any questions, contact Bethany Newsom at Newsom-B@mssu.edu or ext. 3161. PreviousThe Game Plan: Let’s boost our training numbers!